Not everyone is, nor do they want to be, a data analyst – it might sound obvious, but the way that everyone accesses and consumes data can vary dramatically, even if they perform similar roles. I found that some people would like to view data in table form, like a big spreadsheet; these are generally financial, accountant types. Sales and entrepreneurial types liked big numbers and graphs. More work is being done away from our desks; at coffee shops or at client meetings. Therefore, having easy access to important metrics and data isn’t always possible. Many operational staff regularly like an emailed report, only to open it up and search for an issue or a value that needs their attention. I thought, how can I take QlikView (or Qlik Sense, Excel and more, for that matter) and make it easily available to anyone, so that they can consume the information the way they want to? The idea of KPI Pulse was created! The concept was to have a locally installed publishing application which would automate the reloading of data into QlikView and then allow the designer to create a series of snapshots (they could be images like a graph, a complete dashboard, a data file or even a PDF report). These snapshots would then be available within a mobile app, a website, via email, a desktop app or even within Excel. We can now take QlikView metrics, personalise them for each user and push them up to your own secure cloud server. From there, these metrics are available on our mobile app, email, online Head Up Display, desktop app, Slack and Excel. We can schedule the distribution of key metrics any way you like and get everyone on the same page – aligned with your business performance goals. Executives and managers can instantly see their own metrics on their phone, without needing to log in. If they then need to share that metric, they easily can with Slack, email or a text message. You don’t need any extra QlikView licenses, allowing you to easily push metrics to all staff who require them, and even provide metrics within a website to your customers, clients or other stakeholders. Right from the start, my goal for KPI Pulse was to make it easy to distribute the great work that a QlikView Designer has done, getting relevant metrics to the right people, easily. One of the great things about QlikView (and Qlik Sense) is that it’s like the Swiss Army Knife; it’s the one package that you need to learn, allowing you to do so much. When looking at other BI solutions, there’s always a stack of tools that you need to learn and use. Now, with this one easy to use application, the reach and effectiveness of QlikView has become even more powerful. Contact us today to find out more about KPI Pulse, and what it can do for your organisation. Did you ever dream of being the entrepreneur who created ‘that’ app? Here are a few loose guidelines to help you along that process. If you have talked with a programmer you may have heard them comment about API calls and ‘talking’ to another application via its API. API stands for Application Programming Interface, which allows different applications to communicate, without learning each other’s ‘language’. APIs make it easier for developers to communicate with other applications, using certain pre-defined methodologies when building applications. An API allows one application to permit another application to use only specific objects or actions in a way that ensures compatibility and integrity between the two. What can an API do? A request to gather information from a third-party application may use an API call as the means to communicate, allowing the programmer to gather and use information in a way that is accessible. The API acts as a middleman for the programmer when requesting information from another application, while also letting the programmer know what he can ask for, how to ask the question and how to process the answer. Take for example when an order is placed on a front-end system, an API can be used to send the order details (delivery address, customer details, etc..) into an internal system that it doesn't natively communicate with. Whether an accounting system, fulfillment software or even directly into a database, it’s possible to streamline the way data is transferred and interpreted when utilising an API. API’s provide an enhanced layer of security; through never exposing your data fully to the server, and the server never fully needing to expose itself in return. Instead, each communicates with the API, only sharing that which is necessary. 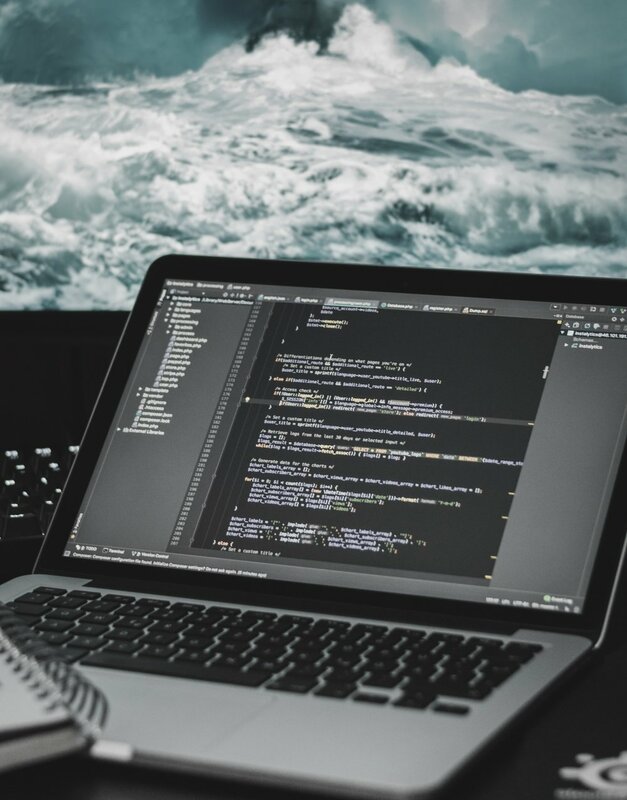 An API allows for simplicity and reusability by implementing a standard programming method to interact with the server, allowing the same method to be used for each application. APIs are typically developer-friendly, easily accessible, and how to interact with it and what calls to make are usually well documented. This all allows for an integration to be developed in less time, with rules governing how and what access is provided. Just as easily as they give access, capabilities given through APIs can be taken away. If an API that you rely on reduces its capabilities, or even an API that you utilise is shut down suddenly, you may find yourself in a tough situation with severely reduced functionality. It pays to research the APIs you utilise and keep up to date with news and developments. If you have queries about custom software and about how Advance can help streamline your processes, get in touch. Did you ever dream of being the entrepreneur who created ‘that’ app? All great ideas address a specific problem – one that can be, and needs to be solved. Successful entrepreneurs solve problems in a way that we cannot imagine, through using innovative methods or processes that make it, in retrospect, look easy! Look around you; every product and service you use now was created to solve a problem. Start by looking at problems in your daily life and keep a list of them. Once you have the list review it and see which ones can potentially be solved with an app. Once you’ve identified several needs which could be targeted, reach out to others and see if they are having similar problems. It is important to remember that not everyone may have the same problems as you, but they may have in the future – the tricky part is gauging the problem against it’s need. Once you have identified a need and decided to address it, you can start to elaborate on the details. When you are noting your ideas down, be as detailed as possible and make sure to note down everything that comes to mind – even things that might not seem helpful now, or may seem like a terrible idea. Once you have finished noting down all you can, cherry pick these to construct a layout and the main, necessary features of the application – this gives you a base to work from. From the previous notes, look closely at features that you can put aside and ignore for the immediate future - do not start out offering the world. You want the initial costs of the app to be as small as possible in the first release. The sooner you can get a basic app out there to market (to test the waters and gain feedback/interest) the better. There will always be room for additional features down the line. Even the greatest ideas fail if the user experience isn’t satisfying. If the user doesn’t ‘get’ the app, then it will never take off, regardless of how great the features are. Features are important, but how users perceive and use the app initially is crucial for longevity and uptake. You need to find a developer that suits your needs and fits the scale you are looking for. You can look for a freelance developer, directly approach a development company, or even do it yourself. This can prove to be the most difficult part of the process, as often you need to be able to work with other people to define your vision and have them buy into it, whilst meeting your budget. You should have released the first version with only a limited feature set. Now you can continue to evaluate the feedback over time, and look to tailor your development schedule around this. It is then a cycle of looking at your analytics and feedback, whilst continuing to update. It’s important to note the steps above are not set in stone but are a simple guideline for moving yourself along the exciting journey of creating your first mobile application. For more information on Application Development click here or contact us!